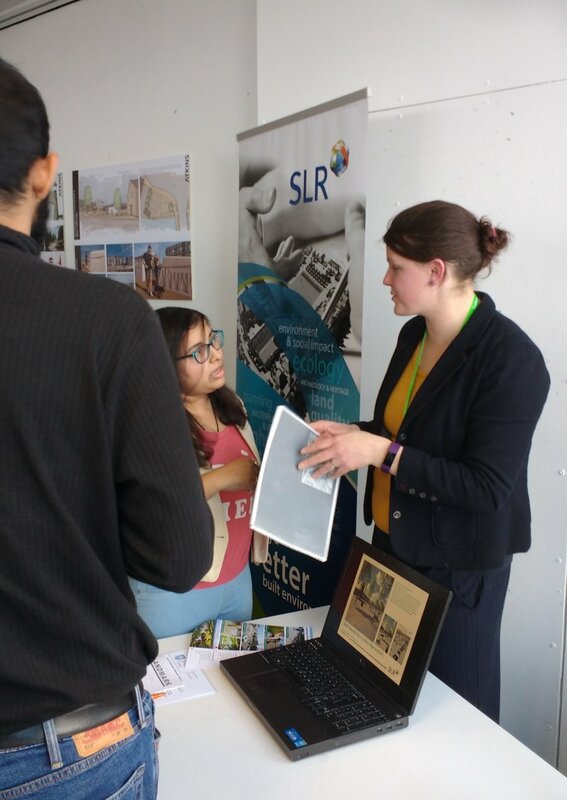 SLR was pleased to participate in the “Meet the Professionals’ Event at the University of Sheffield on 7th March 2018. The day was facilitated by the LANDMARK team, the student social of the Department of Landscape Architecture and was well attended by landscape practices and environmental consultancies as well as students on various years of the degree and post-graduate courses. SLR’s exhibition stand was hosted by Frances Delaney, Associate Landscape Architect based in SLR’s Nottingham office. The event allowed SLR to showcase its portfolio of landscape architecture project work in the built environment, power, infrastructure, mining and minerals sectors. Speaking after the event Frances said the day was really useful and we had a lot of interest from students looking for year out and graduate positions as well as work experience. SLR is currently advertising for landscape architect positions in Nottingham and Bristol, details of which are available here.